Serenity is a Brighton B&B with a difference. Our focus is on natural health and well being. So the foods we serve reflects that priority. Visit us at Serenity and experience your own little miracle. Everyday you and I have the opportunity to take one step closer to our oasis of inner peace. We invite you to start it with breakfast in our garden and then enjoy all the creations of the other crafted meals available only at Serenity..
At Serenity you can nourish your soul and your body with our all natural meals. Enjoy organic raw fruits, vegetables, nuts, sprouts and herbs that are woven into many of the meals at Serentiy. Most of our produce is grown at a local organic micro farms. Our chef takes pride is sourcing the healthiest of ingredients for our kitchen. 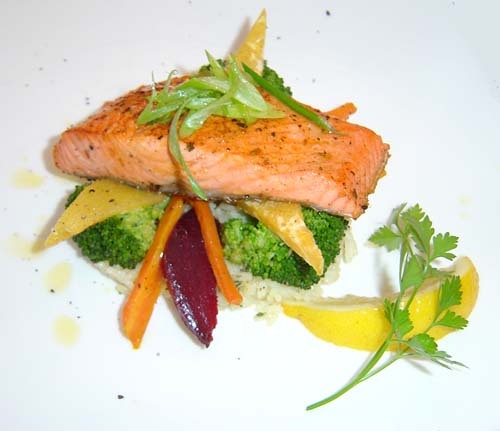 We are passionate about sharing powerfully healthy meals and integrated holistic lifestyles. It is all worth while when we hear our guests say "The food at the Serenity Bed and Breakfast is nothing short of fabulous." SERENITY BREAKFASTS - One of our guests had this to say about what comes out of our kitchen "Serenity's understanding of our relationship with food is exceptional." Ben Williams It is gratifying to hear when our breakfasts get rave reviews from guests that have stayed for a whole week "From the hearty Farm Breakfast full of organic veggies and herbs to the healthy Goat Cheese and Spinach Omelette, to the delicate and refined Mushroom and Cheese Omelette enhanced with garden fresh herbs, the breakfasts at Serenity are something I will always remember!" Harold Stark. 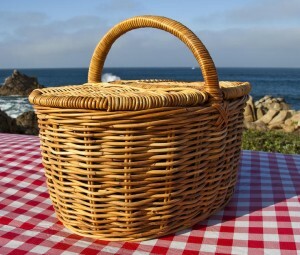 PICNIC LUNCH BASKETS - Part of enjoying this part of the country is getting outside and enjoying the beautiful country side that this are if famous for. To make that easier Serenity will pack you a hearty picnic hamper filled with nutrious and tasty goodies for only $10 per person. This is a great way to experiance the freedom of taking a picnic along with you while enjoying fresh local foods at its best. ADD A WINE TOUR - You can add a wine tour package for only $40 that includes 12 Wine Taskings at the famous vinyards of Prince Edward county. DINER AT SERENTIY - Is an Experiance worth having. and Serenity puts a lot of thought and engergy into creating meals that dance with your taste buds while nurishing the body and inpiring the spirit. Enjoy the passion we have for food by ordering a sit down diner while you are at Serenity. A full course Diner at Serenity costs $22 per person and will be memorable by its nature. We must admit at Serenity we have a definate phylosophy about food. As our chef puts it, "Everyday I have the opportunity to make a choice of what I put into my body. Choices make all the difference. My body is a temple. My garden is an oasis where I can make lifestyle and food choices for my overall well-being, my beliefs, morals and values. Ultimately, food choice is decided by ones relationship to its source." No level of mastery in art or science can substitute for the quality of ingredients. Where we live and our relationship to where we live determines the taste and nourishing quality of food as much as it does other aspects of our lives. It dictates whether our food comes from far away, via fossil fuels, irradiated and fumigated, weeks or months old, close to being dead or already dead; or whether our food is at peak aroma, ripe and vibrantly fresh. Our food is alive and teaming with vitality and high in nutritional and neutraceutic content. Here at Serenity, nature, heart, spirit, and science comes together to nurture your body and expand your potential. "I share the view that experiencing inspiring and healing food close to the place where it is grown and crafted lends itself to greater appreciation. Sharing fresh local food adds a greater level of safety and enjoyment in a world where often food is without a face. It is a miracle that nature bears roots: full of rich texture and earthy tones; bulbs: intensely pungent raw but sweet and mellow over a flame. Swollen stems are versatile prepared el dente or soft as custard. Extravagant leaves give wings to functional form and culinary expression where tender leaf upon leaf reach their highest potential in co-operation, like the delicate folds of a mille-feuille (thousand leaf pastry). Fruits refreshing and subtly floral, and seeds capable of all alchemy inherent in the plant it holds- to please the palate and re-invigorate the body. " While visiting Serenity you can also empower yourself with our natural health workshops or coaching. Our special High Performance Health, Healing packages provide many resources to help you attain your optimal health while enjoying our peaceful oasis.. Whether it is the fresh trout that comes form our local fish ponds to your plate in a matter of minutes or the organic vegetables and herbs that are integrated into every meal, the food at this Oasis is crafted for both health and flavor by our epicurean genius. Take advantage of our ongoing natural health workshops and seminars which can fill your day with healthy learning that can last a life time. 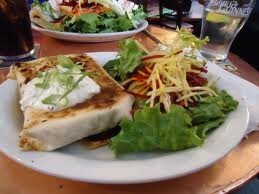 Natural nutrition and fabulous flavour is of course integrated into every meal at Serenity.. However you can also choose to participate in our Living Food Lifestyle Retreats and discover the life changing benefits of eating a raw organic diet. The food for these retreats is crafted for both health and flavor by our epicurean genius and raw food chef who will also teach you how to craft many rawlishious meals during our stay at Serenity. At Serenity we have a professional chef who can prepare healhty and tasty meals with in several dietary programs. We pride ourselves in being able to cater to our clients dietary needs including those on any of the healthy dietary programs listed below. Breakfast is included in our room rates but we can also prepare box lunches, and sit down lunches and diners. If you want a customised meal plan simply indicate what your prefered diet is on our Contact Form when you book your room. The Atkins Diet, or Atkins Nutritional Approach, focuses on controlling the levels of insulin in our bodies through diet. If we consume large amounts of refined carbohydrates our insulin levels will rise rapidly, and then fall rapidly. Rising insulin levels will trigger our bodies to store as much of the energy we eat as possible - it will also make it less likely that our bodies use stored fat as a source of energy. 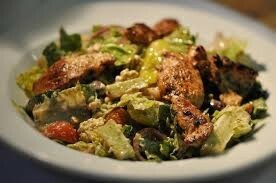 Most people on the Atkins Diet will consume a higher proportion of proteins than they normally do. The Zone Diet aims for a nutritional balance of 40% carbohydrates, 30% fats, and 30% protein each time we eat. The focus is also on controlling insulin levels, which result in more successful weight loss and body weight control. The Zone Diet encourages the consumption of good quality carbohydrates - unrefined carbohydrates, and fats, such as olive oil, avocado, and nuts. There are various types of vegetarian - Lacto vegetarian, Fruitarian vegetarian, Lacto-ovo-vegetarian, Living food diet vegetarian, Ovo-vegetarian, Pescovegetarian, and Semi-vegetarian. The majority of vegetarians are lacto-ovovegetarians, in other words, they do not eat animal-based foods, except for eggs, dairy, and honey. Several studies over the last few years have shown that vegetarians have a lower body weight, suffer less from diseases, and generally have a longer life expectancy than people who eat meat. Veganism is more of a way of life and a philosophy than a diet. A vegan does not eat anything that is animal based, including eggs, dairy, and honey. Vegans do not generally adopt veganism just for health reasons, but also for environmental and ethical/compassionate reasons. Vegans believe that modern intensive farming methods are bad for our environment and unsustainable in the long term. If all our food were plant based our environment would benefit, animals would suffer less, more food would be produced, and people would generally enjoy better physical and mental health, vegans say. The South Beach Diet was started by a cardiologist, Dr. Agatston, and a nutritionist, Marie Almon. 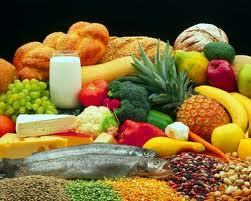 It also focuses on the control of insulin levels, and the benefits of unrefined slow carbohydrates versus fast carbs. Dr. Agatston devised the South Beach Diet during the 1990s because he was disappointed with the low-fat, high-carb diet backed by the American Heart Association. He believed and found that low-fat regimes were not effective over the long term. The Raw Food Diet, or Raw Foodism, involves consuming foods and drinks which are not processed, are completely plant-based, and ideally organic. Raw Foodists generally say that at least three-quarters of your food intake should consist of uncooked food. A significant number of raw foodists are also vegans - they do not eat or drink anything which is animal based. The Mediterranean Diet is Southern European, and more specifically focuses on the nutritional habits of the people of Crete, Greece, and southern Italy. Nowadays, Spain, southern France, and Portugal are also included; even though Portugal does not touch the Mediterranean Sea. 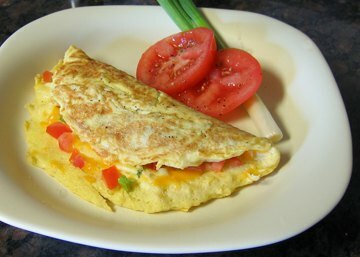 The emphasis is on lots of plant foods, fresh fruits as dessert, beans, nuts, cereals, seeds, olive oil as the main source of dietary fats, cheese and yogurts are the main dairy foods, moderate amounts of fish and poultry, up to about four eggs per week, small amounts of red meat, and low/moderate amounts of wine. 25% to 35% of the Mediterranean diet consists of fat, with saturated fats not exceeding 8% of calorie intake. Tasnime Akbaraly, PhD, Inserm, Montpellier, France, and team carried out a study that found that the "Western Diet", which is high in sweet and fried foods, raises a person's risk of dying early. They published their findings in the American Journal of Medicine. Dr. Akbaraly said "The impact of diet on specific age-related diseases has been studied extensively, but few investigations have adopted a more holistic approach to determine the association of diet with overall health at older ages. We examined whether diet, assessed in midlife, using dietary patterns and adherence to the Alternative Healthy Eating Index (AHEI), is associated with aging phenotypes, identified after a mean 16-year follow-up." The well known journal, Food Technology in October 2012 published a report explaining that plant-based diets either minimize or completely eliminate people's genetic propensity to developing chronic diseases, such as diabetes type 2, cardiovascular disease, and cancer. Your Hosts are very grateful to have the opportunity to share the abundance that comes from our gardens and local farms with you at this oasis from day to day life and invite you to experience warm hospitality surrounded by beauty and peace at Serenity Bed and Breakfast. Web Design By EcoEarthwalk Inc.